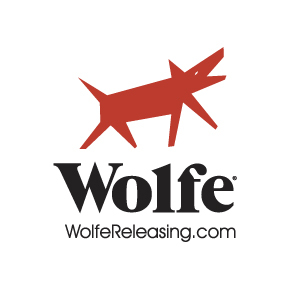 Below you can download the Wolfe logos in a wide array of styles and file formats. For additional logo requests, please contact media@WolfeVideo.com. Standard WolfeVideo.com Print or Web Logo. This logo is provided in a Zip file with both EPS and Adobe Illustrator (.AI) file types. Horizontal WolfeVideo.com Print Logo. This logo is provided in a Zip file with both EPS and Adobe Illustrator (.AI) file types. Stacked WolfeVideo.com Print Logo. This logo is provided in a Zip file with both EPS and Adobe Illustrator (.AI) file types. Standard Wolfe Releasing Print Logo. This logo is provided in a Zip file with both EPS and Adobe Illustrator (.AI) file types. Standard Generic Leader-board or Header-board Banner for Wolfe Video (728x90). Standard Generic Big Box Banner for Wolfe Video (300x250). Standard Men's Interest Wolfe Video Skyscraper Banner (160x600).